MILWAUKEE, August 1, 2018 – Employee-owned international financial services firm Baird today announced that Rodney Jones-Tyson has been promoted to Chief Risk Officer (“CRO”). Jones-Tyson, who most recently was Chief Operating Officer of Baird’s Global Investment Banking unit, is replacing Mark Roble, who retired on July 31 after almost 25 years at the firm. As Chief Risk Officer, Jones-Tyson is also a member of Baird’s Executive Committee. Jones-Tyson joined Baird in 1998 as an investment banker before moving to London to help build the firm’s international mergers and acquisitions practice. He served as Director of Corporate Development, reporting directly to Baird’s CEO, where he worked closely with the firm’s senior executives on strategic planning and evaluating potential acquisition and investment opportunities. 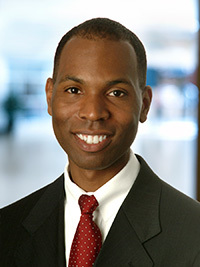 Jones-Tyson became Chief Operating Officer for Global Investment Banking in 2011. In addition to his investment banking role, Jones-Tyson is also a member of Baird’s Business Diversity Council and serves as the executive sponsor for Baird’s LGBT employee-resource group. Jones-Tyson holds an MBA from the University of Chicago’s Booth School of Business and a BS degree from the University of Maryland. Jones-Tyson is also a member of the board of directors of IFF, a mission-driven lender, real estate consultant, and developer that creates opportunities for low-income communities and people with disabilities, and the Foundation for Homan Square, each based in Chicago. Roble joined Baird in 1993 and has served in a variety of capacities including trader, investment banker, Chief Administrative Officer – Global Capital Markets, Director of Corporate Development and Chairman of Baird’s UK Equity Capital Markets business. He led Risk Management from 2008 to 2018. Prior to joining Baird, Roble spent fifteen years in financial services, mainly focused on mortgage finance, fixed income investment management, and hedging strategies. He received an MBA, with high honors, from the University of Chicago’s Booth School of Business and graduated with majors in business and theatre arts from Carroll University, where he serves on the Board of Trustees. Baird is an employee-owned, international wealth management, capital markets, private equity and asset management firm with offices in the United States, Europe and Asia. Established in 1919, Baird has approximately 3,500 associates serving the needs of individual, corporate, institutional and municipal clients. Baird has $203 billion in client assets as of Dec. 31, 2017. Committed to being a great place to work, Baird ranked No. 12 on FORTUNE’s 100 Best Companies to Work For in 2018 – its 15th consecutive year on the list. Baird is the marketing name of Baird Financial Group. Baird’s principal operating subsidiaries are Robert W. Baird & Co. Incorporated in the United States and Robert W. Baird Group Ltd. in Europe. Baird also has an operating subsidiary in Asia supporting Baird’s investment banking and private equity activities. For more information, please visit Baird’s website at www.rwbaird.com.